If there was ever an American actress who personified the spirit of individualism, it would have to be Katharine Houghton Hepburn. Mayflower descendant, daughter of a suffragette, and an athlete, Katharine Hepburn was a true original. Perhaps almost as well known for her outspoken nature and trousers as her four Academy Awards, there is no one else quite like “Kate”. Learn about her early days, career, fashion, and status as “The Greatest Female Star in the History of American Cinema” (ranked in 1999 by the American Film Institute). 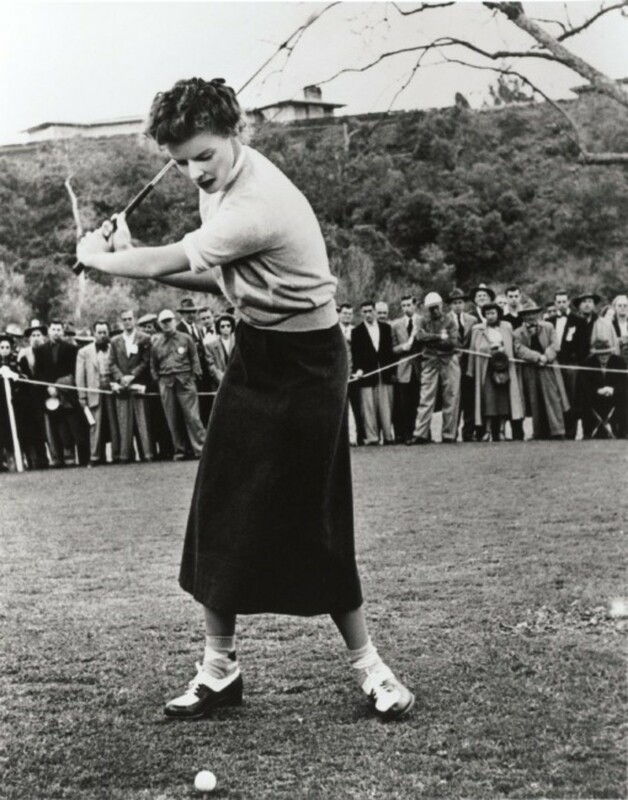 All the Hepburn children were encouraged to be athletic, and Katharine, seen here playing golf, remained sporty her whole life. Katharine Hepburn was no ordinary woman, and she came from no ordinary family. Born on May 12, 1907 in Hartford, Connecticut, Hepburn was the daughter of Katharine Martha Houghton, a suffragette and an heiress, and Dr. Thomas Norval Hepburn, a successful urologist. One of six children, the girls (Katharine, Marion, and Margaret) in the Hepburn clan were expected to undertake vigorous athletic pursuits just like their brothers (Thomas, Richard, and Robert). 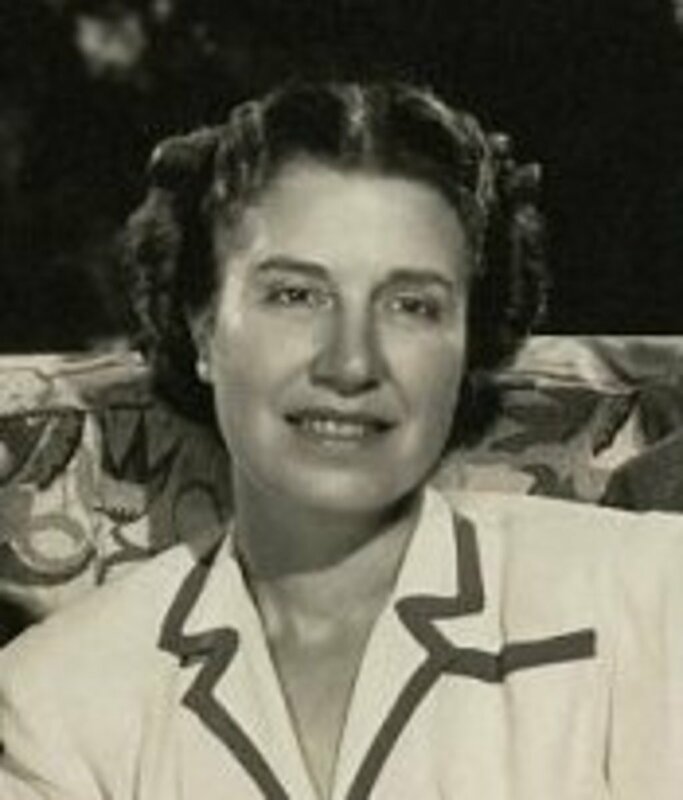 The Hepburns were brought up on a steady diet of swimming, riding, golf, and tennis, and Katharine maintained an athletic vigor most of her life. That physical nature would serve her well later in her acting career, as would the can-do Yankee spirit which Katharine's parents impressed upon her. The young Katharine Hepburn was educated at the Oxford School in West Hartford (now known as the Kingswood-Oxford School, the writer Dominick Dunne is another famous graduate), followed by Bryn Mawr College outside of Philadelphia. Although she came from a wealthy family, Katharine's life was not without tragedy. When she was fourteen years old, her beloved older brother Thomas was found dead hanging from rafters. There was some dispute about whether the eldest Hepburn child's death was a suicide or a tragic end to a game, but in any case, it was devastating to Katharine. For many years, when asked her birthday, she said not May 12, but November 8, her brother Tom's birthday. Before graduating from Bryn Mawr with a degree in philosophy and history in 1928, the young Miss Hepburn demonstrated the non-conformist attitude for which the movie star would later become famous. She was suspended for infractions like smoking and breaking curfew, and later confessed to skinny dipping in a college fountain in the night. It was also at Bryn Mawr when Katharine became serious about acting. In the same year that she graduated from college, Katharine Hepburn made her Broadway debut, with a small role in the play Night Hostess. Although she eventually became a Hollywood star, it was always the Broadway stage which held the greatest appeal for the actress. 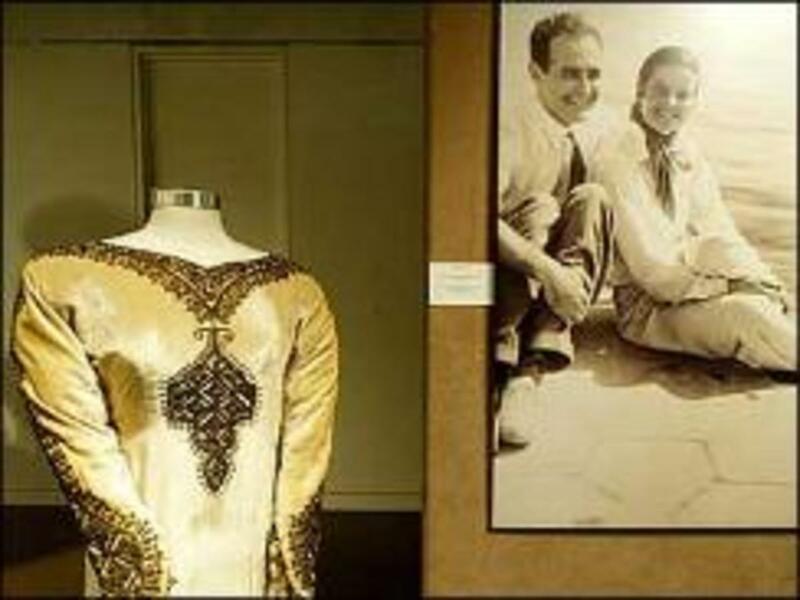 The bridal gown from Hepburn's short-lived marriage fetched $27,000 at auction. Graduation, Marriage, And Broadway - All In The Same Year! 1928 was a remarkably pivotal year in the life of Katharine Hepburn. Not only did she graduate from college and land her first bit part on Broadway, but it was the year of her only marriage. Wearing a white velvet gown with antiqued gold embroidery that later fetched $27,000 at an auction after her death, Katharine Houghton Hepburn married a wealthy businessman named Ludlow Ogden Smith. An unconventional woman such as Katharine was perhaps destined to have a difficult marriage, and she and “Luddy” were divorced by 1934 in Mexico, and also again in 1942 in the United States (to make sure it was legal). Despite the dissolution of their marriage, Hepburn and Smith remained friendly, and she always said that she appreciated his support in the early days of her career. Although it may be hard to imagine from our perspective today, the much-lauded actress got off to a very rocky start. Many of her early roles were in stock theater productions and Hepburn was actually fired from her first leading role in The Big Pond. The outspoken woman flubbed her lines, the athlete tripped over her own feet, and the confident New England blue blood spoke too fast to be understood. The Big Pond was not Ms. Hepburn's only miscue onstage; she was also fired from the Broadway play Art and Mrs. Bottle, although she was eventually rehired. Katharine Hepburn had a seemingly effortless grace. After muddling along for a few years, Hepburn got her first big break in 1932. She played Antiope, the Amazon princess, in The Warrior's Husband, which was based on the ancient Greek play Lysistrata. It was a role well suited to the athletic actress; she made her entrance by jumping down stairs while carrying a large stag on her shoulders. A snap for the 5'7” Hepburn, who was in excellent physical condition, thanks to all those years of sports. After her earlier struggles, Katharine Hepburn was suddenly noticed, both in New York and Hollywood. The RKO scout Leland Hayward took note of Hepburn's impressive performance, and asked her to do a screen test for a film called A Bill of Divorcement, which was to be directed by George Cukor and starred in by John Barrymore. The audition went so well that the studio cast Hepburn and even agreed to the $1500 per week salary which she insisted upon – much to her surprise! A Bill of Divorcement was not only Katharine Hepburn's first film, but it helped her to forge important new contacts. Leland Hayward was reputed to be one of the actress's love interests, and George Cukor became a friend and a colleague with whom Hepburn would work again in the future. In fact, Hepburn and Cukor were still working together on occasion over 40 years later, when he directed Hepburn in her Emmy award winning performance in the television film Love Among the Ruins in 1975. In addition, the good response to A Bill of Divorcement resulted in the offer of a contract with RKO for additional films. Hepburn won the first of her four Oscars for "Morning Glory". 1933 was also a banner year in Katharine Hepburn's career. She won her first Academy Award, for her role in Morning Glory. In a role that was perhaps not such a stretch for the independent Hepburn, she played an actress who chose career over romance. In that same year, she took on another role of a spirited woman: the tomboyish Jo in the screen adaptation of Louisa May Alcott's classic Little Women. Directed by Hepburn's chum George Cukor, Little Women as a fan favorite and fared very well at the box office. Despite all of her success in Hollywood, Hepburn strongly desired to return to the lights of Broadway, which she did in the 1934 play The Lake. The play, unfortunately, was critically panned, including a famous remark by Dorothy Parker that its star Katharine Hepburn "ran the gamut of emotions — from A to B”. Back at RKO, Hepburn bounced back with an Oscar nomination for her role as Alice Adams in the 1935 film of the same name. However, everything was not coming up roses for Hepburn in this period of her career. 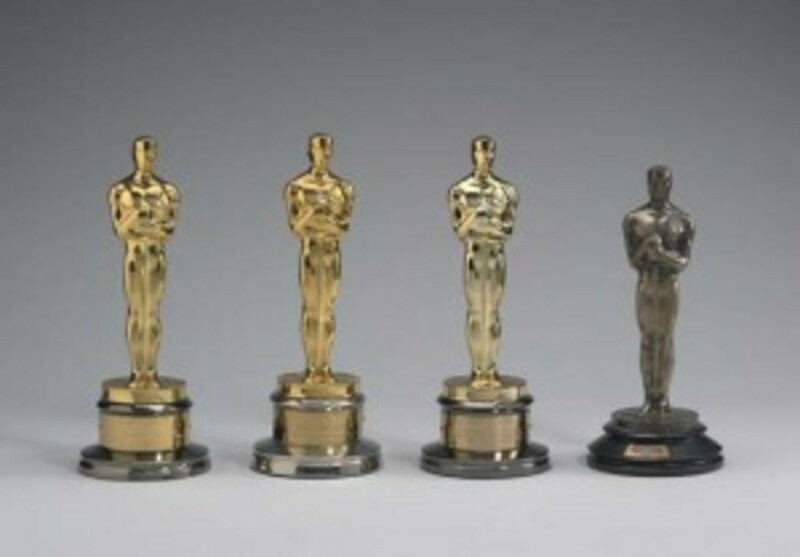 While she already had one Oscar under her belt and a second nomination, she had also starred in a string of box office flops, starting with Spitfire in 1933, followed by six more busts between 1934 and 1937. Stage Door, a 1937 film which also starred Ginger Rogers and Lucille Ball, was well received by critics and received an Academy Award nomination for Best Picture. "Bringing Up Baby" is now regarded as a classic film, but it was a box office flop when released. In 1938, Katharine Hepburn starred with Cary Grant in the legendary screwball comedy Bringing Up Baby. 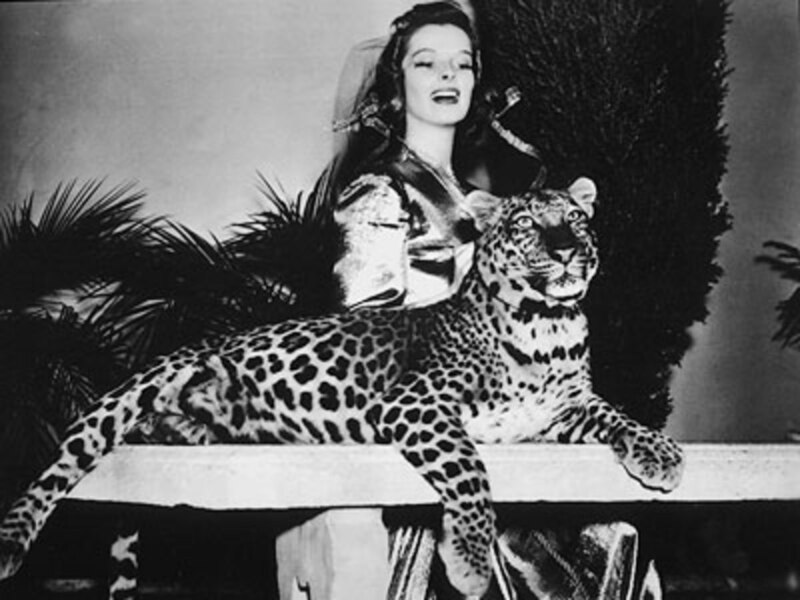 While it is now highly regarded as one of the best movies of all time, and was well received by critics, Bringing Up Baby was a disaster for the studio and its stars. The director, Howard Hawks was fired by RKO and Katharine Hepburn had to buy out the remainder of her contract. At this point, Hepburn's career was in serious jeopardy. She was notorious for her refusal to court the press and to answer personal questions about her life. When asked by a reporter if she had any children, the quick-tongued actress once retorted, “Two white and three colored”. Hepburn's disinterest in playing the role of the Hollywood starlet extended to fans; in the early stage of her career, she often declined to give autographs, which certainly did nothing to improve her popularity. Nicknamed “Katharine of Arrogance” and voted “box office poison” in 1938, Hepburn's star was falling fast. Could a blockbuster film save her career? 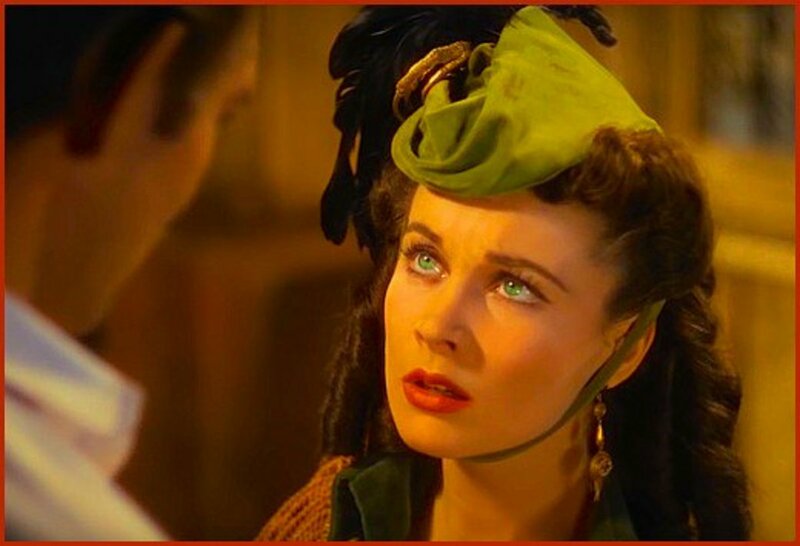 Well, Katharine Hepburn came very close to playing one of the most famous movie characters of all time, Scarlett O'Hara in Gone With the Wind. 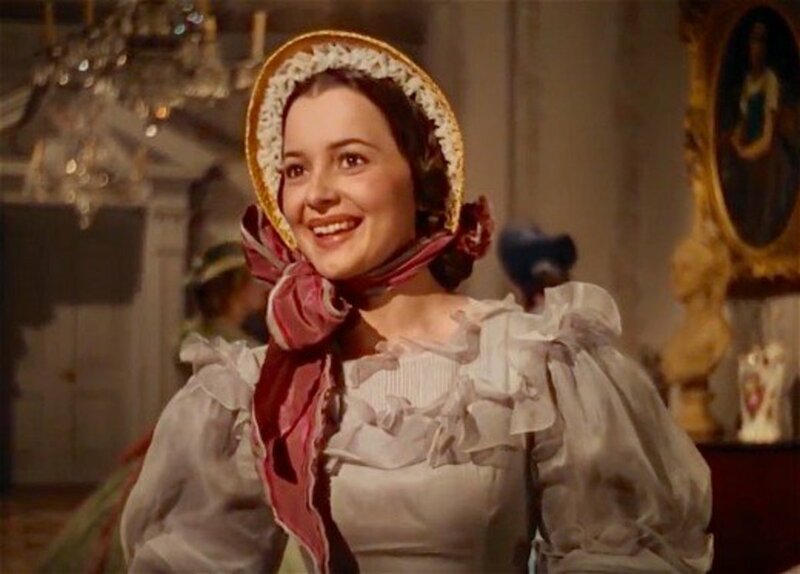 The brash, unconventional actress, however, knew she was not the right fit to play the beautiful and coy leading lady in the Southern epic; when the last minute decision was made to cast Vivien Leigh instead, there were no hard feelings. In fact, the British Vivien and the Connecticut Yankee Katharine became such good friends that Hepburn was the maid of honor in Leigh's 1940 wedding to Laurence Olivier. "The Philadelphia Story" revived Kate's ailing career. What revived Katherine Hepburn's faltering career was a play. The theater was her first love anyway, and Hepburn was spectacular as Tracy Lord in The Philadelphia Story. The role of the socialite Lord was written by Phillip Barry especially for Hepburn, and it suited the aristocratic air of the lock-jaw Bryn Mawr graduate perfectly. The play was a smash hit, and in a savvy move, Katharine Hepburn acquired the film rights (with the help of her former lover Howard Hughes) and in turn sold them to MGM. Hepburn enlisted another old pal, director George Cukor, to help with her project, and when The Philadelphia Story hit the silver screen in 1940, it was wildly popular. Co-starring Cary Grant and James Stewart, the movie has stood the test of time. More importantly in 1940, the immense success of The Philadelphia Story brought Hepburn's career roaring back to life. Hepburn and Tracy - enough said. 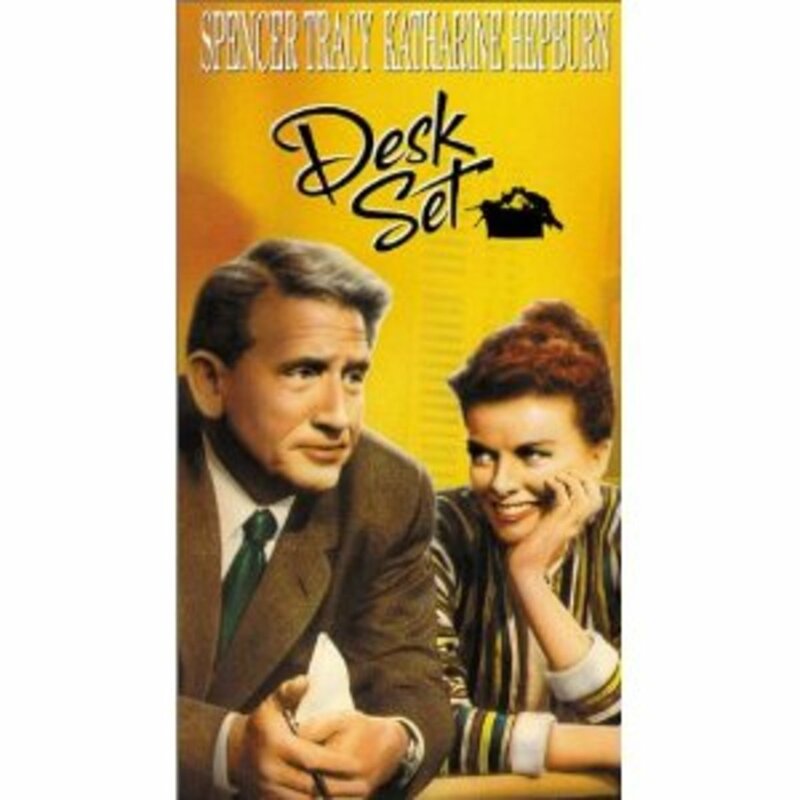 "Desk Set" was one of Hepburn and Tracy's classic films together. In 1942, Katharine Hepburn began the phase of her acting career for which she would become the most famous: the Hepburn and Tracy years. 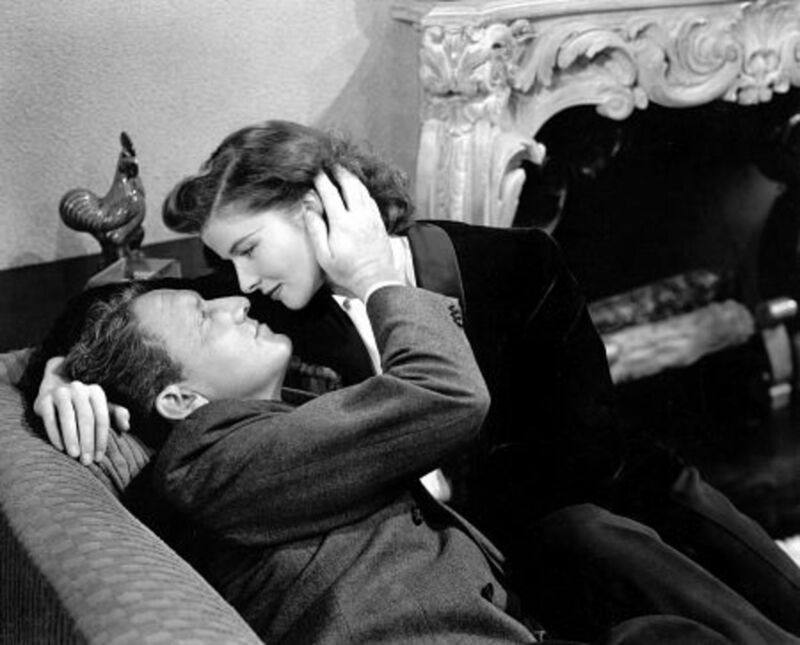 Katharine Hepburn and Spencer Tracy met for the first time while filming The Woman of the Year, which became the first of nine movies they would make together. Their excellent chemistry onscreen was the result of their passion off-screen, in a romance that began while making The Woman of the Year. Hepburn at this point was twice-divorced from Luddy Smith, while Tracy was estranged from his wife Louise Treadwell. A Catholic, Tracy never divorced his wife, and he and Hepburn did everything in their power to keep their relationship discreet. Never one to share the details of her life with the press anyway, Hepburn did not publicly discuss her romance with Spencer Tracy, who is widely acknowledged as the great love of her life. Tracy and Hepburn's relationship continued (with the occasional break) until the time of his death in 1967. Although she was by his side through the last days of his life, Katharine Hepburn chose not to attend Spencer Tracy's funeral, out of respect for his family. The nine Hepburn and Tracy movies are known for their witty verbal sparring and humorous look at the relationship between couples. In most of the films, the man and woman fight over who has the upper hand, until some form of equitable compromise is reached in the end. Without a doubt, the powerful characters with quick tongues were entirely appropriate for Katharine, the no-nonsense daughter of a suffragette. What truly made the Hepburn-Tracy films work, though was the spark between the leads. Some of their best known work includes Adam's Rib (1949), Pat and Mike (1952), Desk Set (1957) and Guess Who's Coming to Dinner (1967). Completed only shortly before Spencer Tracy's death, Guess Who's Coming to Dinner earned Katharine Hepburn her second Oscar for Best Actress. She was one of the few people who did not see the popular film; Hepburn always said that it was too painful for her to watch the last movie that she and Spencer Tracy ever made together. Trailer from "The African Queen"
The passing of Spencer Tracy did not mark the end of Katharine Hepburn's career. She went on to win two more Academy Awards for Best Actress, for The Lion in Winter in 1968 and On Golden Pond in 1981. During the post-Tracy period of her career, Hepburn continued to act in many productions. She was nominated in two Tony awards for her roles in plays: 1969's Coco (a musical in which Hepburn played haute couturier Coco Chanel) and The West Side Waltz in 1981. During the 1970s, 1980s, and 1990s, Katharine Hepburn starred in several movies made for television, including an adaptation of Tennessee Williams' The Glass Menagerie (1973) and Love Among the Ruins (1975), for which she won an Emmy. Kate was known for her elegant menswear inspired wardrobe. For all of her achievements on the stage, silver screen, and small screen, Katharine Hepburn is at least as well remembered for who she was as a woman. Seemingly fearless and unconcerned about what others thought, Hepburn was an unwitting pioneer of fashion. She was one of the first celebrities to wear trousers in public, which she always maintained was simply a matter of comfort. 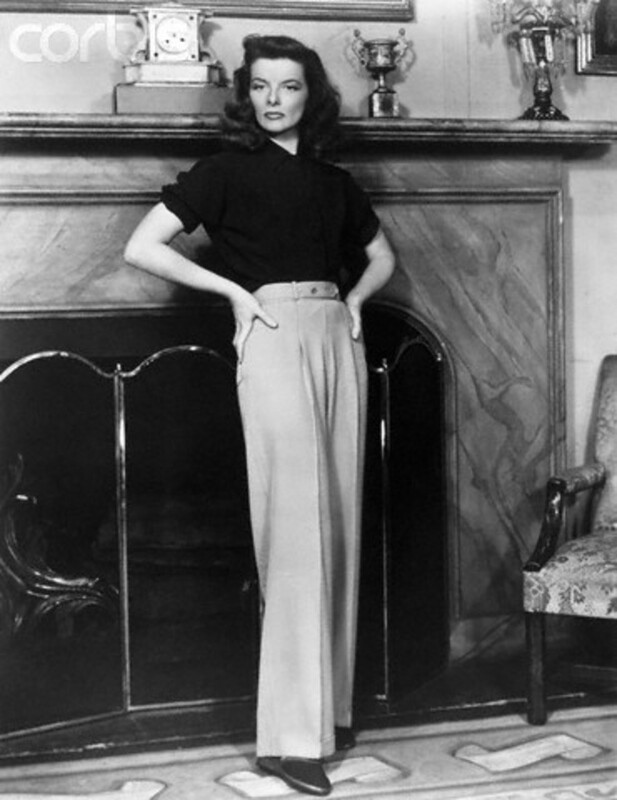 The “Katharine Hepburn look” consisted of high-waisted wide leg trousers, a button down blouse, and stylish loafers, worn with minimal makeup. There is a funny story that when Hepburn was working for RKO, the studio heads insisted she wear skirts and moved her signature slacks from her dressing room. No pants, no problem: the star simply ambled around the studio lot in her underwear. Her pants were returned. Despite the masculine origins of her attire, she always managed to be strikingly glamorous, and in 1986 the Council of Fashion Designers of America honored Katharine Hepburn with a special award. 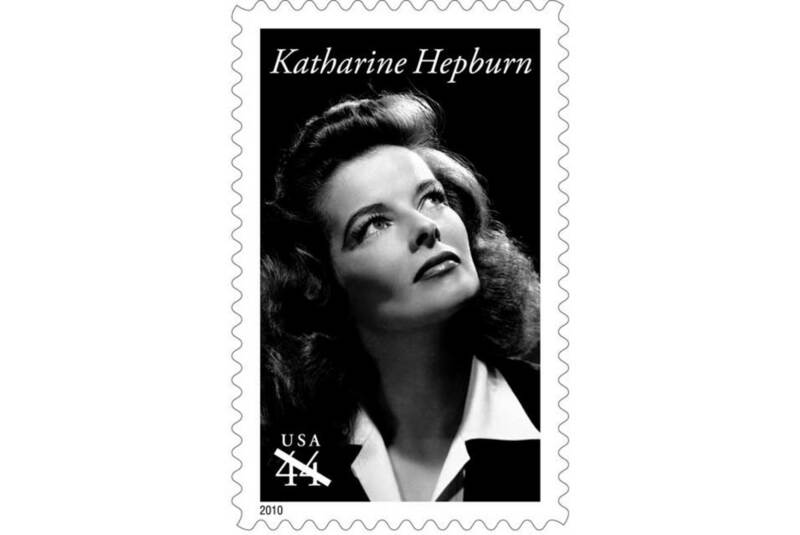 The postage stamp in Katharine Hepburn's honor. Katharine Hepburn made her final three movies in 1994, after which she retired from acting. Two were television films: One Christmas and This Can't Be Love and the third was a movie for the big screen, a remake of the 1939 film Love Affair. Hepburn died of natural causes at her family home in Connecticut on June 29, 2003 at the age of 96. In honor of her remarkable career, the famous lights of Broadway were dimmed for one hour. On May 12, 2010, the 103rd anniversary of her birth, Katharine Hepburn was celebrated with her own postage stamp in the U.S. Postal Service “Legends of Hollywood” stamp series. 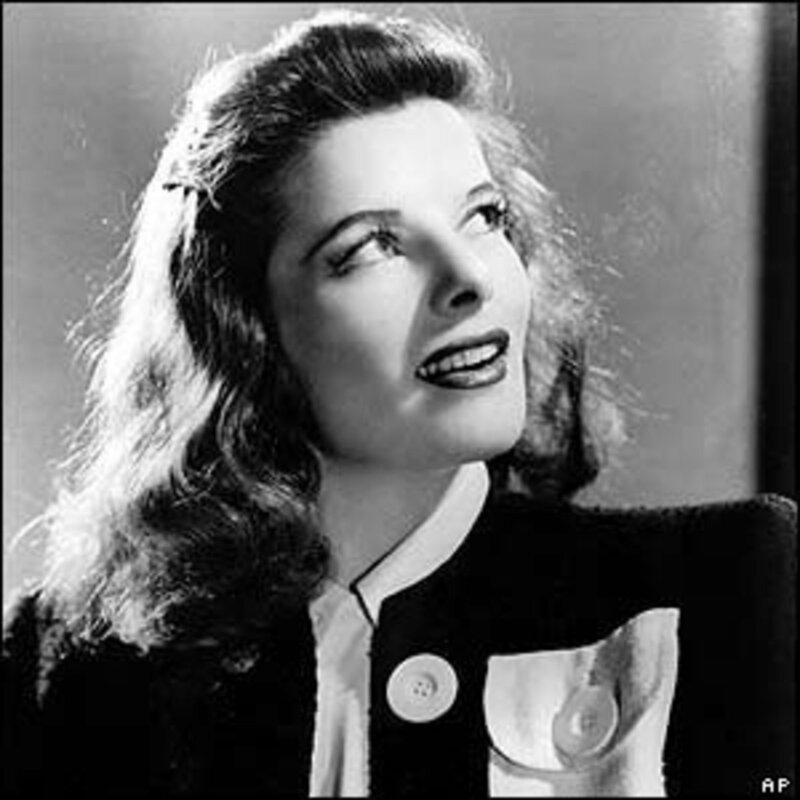 In addition, the intersection of East 49th Street and Second Avenue in Manhattan was renamed “Katharine Hepburn Way” in honor of the famous actress who lived in a brownstone nearby. Her hometown of Old Saybrook, Connecticut also boasts the Katharine Hepburn Cultural Arts Center, a non-profit performing arts venue. But of course, the true enduring legacy of Katharine Hepburn is the undying admiration and appreciation that her fans have for both her impresive body of work and her equally impressive irrepressible spirit. I thought she was a great actress. I loved her in The African Queen. That's one of my favourite films. 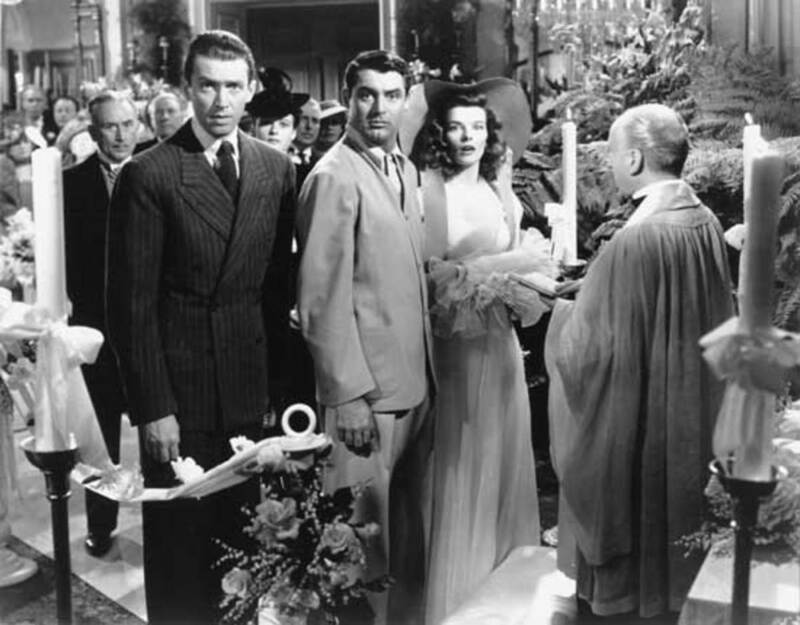 I just love The Philadelphia Story! So many witticisms and hilarious situational comedy and just plain great acting. What an interesting Hub on a fabulously beautiful, intelligent, and inspiring person. 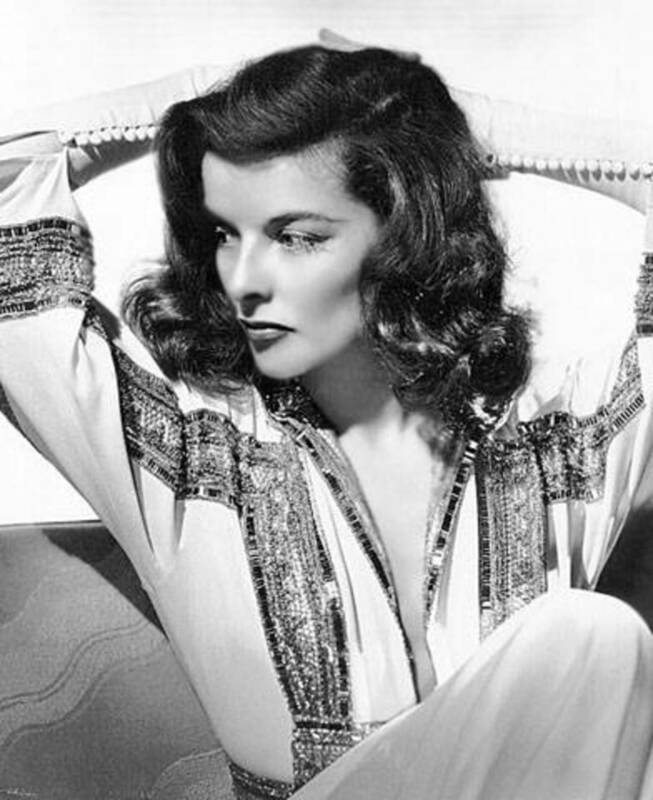 I was struck by how autobiographical the Philadelphia Story must have been for her. She was an actress truly ahead of her time. Thanks for a fun and informative read. fabulous hub - indepth and insightful. A great researched hub...that is well written and packed with interesting information...great job.